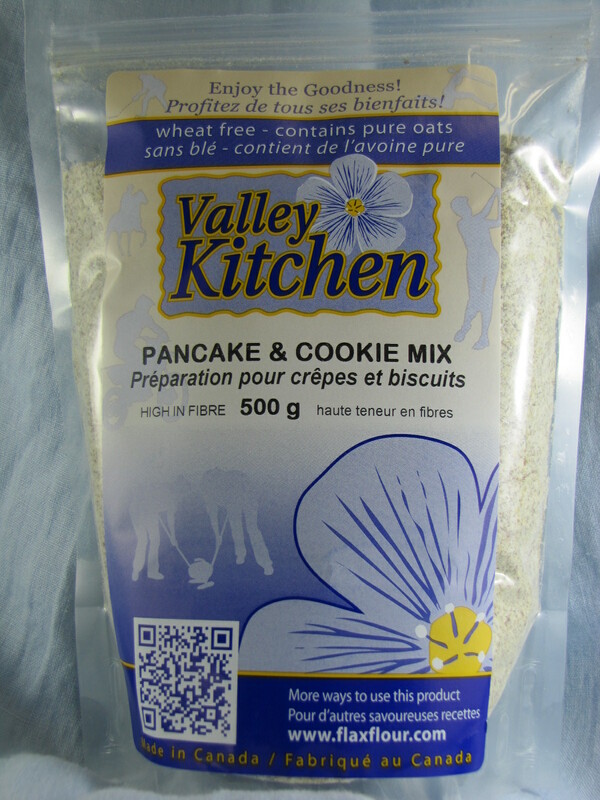 Blended into a variety of mixes including Pancake & Cookie Mix, All Purpose Flour, and all-Canadian Breakfast Cereal. 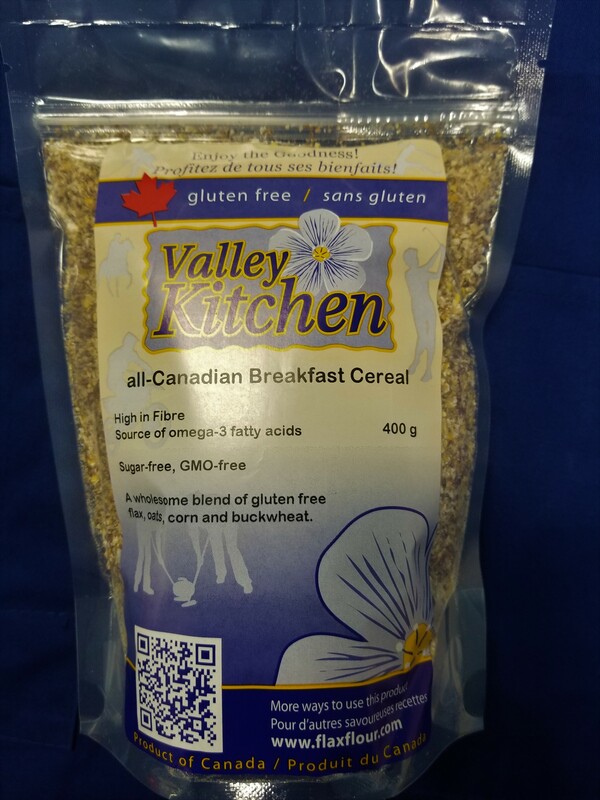 Our focus on the use of whole grains and seeds, as well as the limited addition of simple starches, gums, sugar and sodium, help ensure that our products address the concerns of many health conscious consumers. 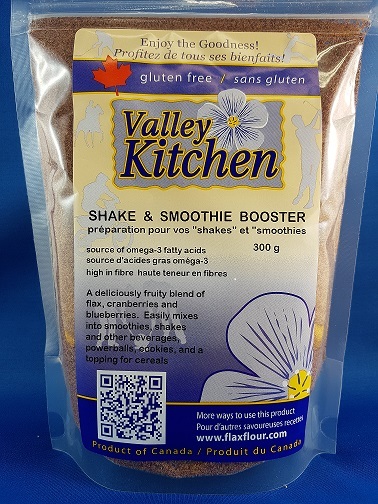 Flax, oats, buckwheat and corn are the core ingredients in most Valley Kitchen Mixes. 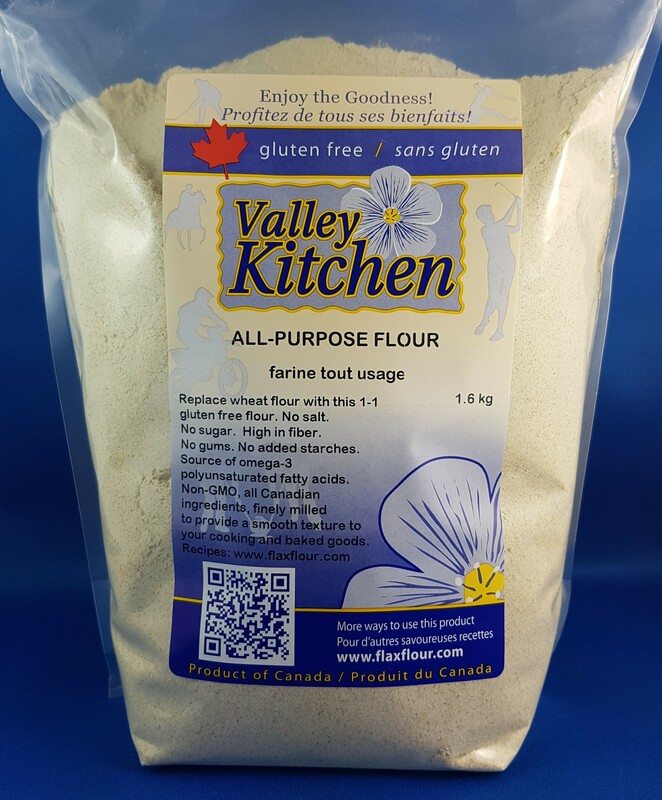 This combination has been selected to provide our gluten free choices a nutritional impact. They have also been tested to help ensure cooking and baking success without the use of additional gums and simple starches. The soluble fibre in flax, oats and buckwheat contribute the structure which helps to replace gluten in wheat based products.